**NB: Imprint Friday will return next with the results of my survey (there is still time to answer the 7 questions) and hints of what's to come. Here are the books I learned about at the session, plus my top pick from each publisher. Titles in boldface are books that made it to my wish list. 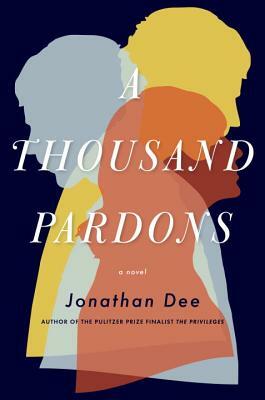 A Thousand Pardons by Jonathan Dee: contemporary novel; can a family survive a man's poor choices? Like most gentiles in Nazi-occupied Paris, architect Lucien Bernard has little empathy for the Jews. So when a wealthy industrialist offers him a large sum of money to devise secret hiding places for Jews, Lucien struggles with the choice of risking his life for a cause he doesn't really believe in. Ultimately he can't resist the challenge and begins designing expertly concealed hiding spaces--behind a painting, within a column, or inside a drainpipe--detecting possibilities invisible to the average eye. But when one of his clever hiding spaces fails horribly and the immense suffering of Jews becomes incredibly personal, he can no longer deny reality. It begins with a call in the middle of the snowy February evening. Lying in her bed, young Sylvie Mason overhears her parents on the phone across the hall. This is not the first late-night call they have received, since her mother and father have an uncommon occupation, helping "haunted souls" find peace. And yet, something in Sylvie senses that this call is differnt than the rest, especially when they are lured to the old church on the outskirts of town. Once there, her parents disappear, one after the other, behnd the church's red door, leaving Sylvie alone in the car. Not long after, she drifts off to sleep only to wake to the sound of gunfire. The year is 1968, a year after the summer of love and the peak of the Vietnam War. The world is changing, and sixteen-year-old Jon Mosher is determined to change with it. Racked by guilt over his older brother's childhood death, Jon turns his rage into victories running track. When he meets Ray Cappicciano, a local legend in the making, a rebel as gifted with his fists as Jon is with his feet, he recognizes a friendship with the potential to save him. Realizing that Ray needs saving too, Jon sets off on the race of his life--a race to redeem his past and save them both. 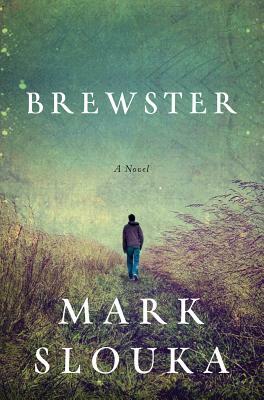 Reverberating with compassion, heartache, and grace, Brewster is sure to remind readers of Andre Dubus III and Richard Russo. Don't forget that discussion guides will be available for all these titles. Check ReadingGroupGuides.com and the publishers' websites for more information about book club resources, the books, and the authors. Great list. Defending Jacob has been popular with book clubs. I had mixed feelings about it but it definitely provokes discussion! Very envious by the way that you can make those box things! I enjoyed (?) Defending Jacob but doesn't quite measure up to We Need to Talk About Kevin, in terms of terror in my heart! My book club is discussing that one next month. And hell to the yeah on Joshilyn and Tom Franklin. You took such good notes! 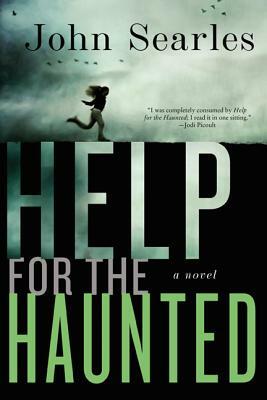 I'm really excited about Help for the Haunted! Off of this list, I enjoyed The Obituary Writer a lot. Though it did have some minor problems. I listened to Defending Jacob and enjoyed it very much. I look forward to Josilyn Jackson's and Kristina' Riggle's new books. Glad you have a great time. I've made a note of some of these titles since I'm part of a book club. Thanks for this list! so many books! my head is bursting! What a great post - I have to attend this next year, I had no idea what I was missing out on. Nice list! The Whole Golden World sounds really interesting. Great recaps! I had totally different publishers at my table and will have my post up soon. This really is my favorite BEA event, I enjoy meeting the marketing people from the publishers. I thought A Thousand Pardons was excellent! Defending Jacob is a good book club selection except so many people have already read it! Help for the Haunted and the others sound intriguing. Loved this session too! Great to see what books you discovered. Mine were totally different!